 Right Surveyors Staffordshire Ltd are an RICS regulated firm of building surveyors in Stoke - trading locally as Stoke Building Surveyors. We specialise in pre-purchase surveys and bespoke building surveys for property buyers and owners and we take pride in offering a wide range of building surveys and defect analysis reports from our qualified and experienced building surveyors. With all our instructions, we focus on high-quality end products and strong, friendly customer service. Unlike many general practice surveying firms, our service is provided by a specialist Chartered Valuation Surveyor (CVS). Whilst surveyors come in many different guises, depending on their qualification route, a CVS has the best combination of building defect and investment analysis skills. For homebuyers or commercial investors alike, the knowledge of a surveyor who has spent their career assessing and valuing investments is invaluable - making sure you get the best price and return possible. Our expert advice gives great value for money and we include a site meeting in all our services if desired. Our surveyors are approachable; happy to deal with you personally and guide you through the whole process, step-by-step. This allows our clients to be able to ask our surveyors any questions at any time throughout the surveying process. The team is led by David Roberts BSc (hons) MRICS RegVal, a building and valuation surveyor with more than 15 years experience in the surveying industry. For a survey quotation and further advice on your current property or potential new home, contact David on 01782 477 478 or email info@stokesurveyors.co.uk — he'll get back to you as soon as he is available. Just what is a building survey? A building survey is a written document advising you on the condition of a building, usually one you're looking at purchasing. Its primary importance is to avoid you purchasing a property for more money than it's worth or buying a house with a defect that will cause you trouble in the future. As such, if you are buying a property in Stoke for any reason, be it occupation or investment, instructing a building surveyor to work on your behalf is always advisable. Building surveyors can guide you on all aspects of the purchase; from structural stability, to defects, to negotiating a better price. Our local Chartered Surveyor David Roberts leads Stoke Building Surveyors as part of Right Surveyors Staffordshire Ltd and undertakes instructions for private and commercial clients. Our focus is on delivering a cost-effective service - providing you with comprehensive detail and advice, for less. For a full list of our surveys and property services, please click here. The House Purchase Survey takes features from the Full Building Survey, but reduces it to a more concise, manageable document at a lower price. In doing so, it provides an excellent 'middle ground' and the most suitable building survey for most property purchasers. The report is designed to assist a buyer of a property to make a informed judgement on whether to proceed with a purchase. Its purpose is to report not just on matters which affect the property's value, like the HomeBuyer's Survey, but also on defects which affect the internal living environment and on maintenance considerations. The subheadings covered mirror the Full Building Survey (including matters like structural movement, ventilation, damp, timber joinery etc.) and the main difference between the two lies in the level of detail. As such, it is suitable for any type of property. Building surveys involve a detailed inspection of the property and a report designed to address the specific needs and interests of the client, whilst providing a comprehensive overview of the property and its features. 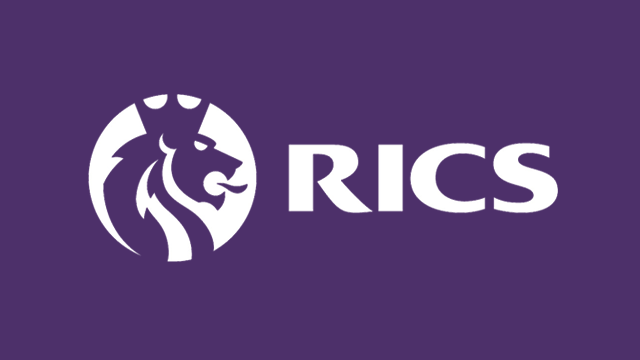 In this way, it is bespoke and thorough - the top level service from Building Surveyors designed by the Royal Institution of Chartered Surveyors (RICS). A full Building Survey can include arrangements for specialist tests, like structural calculations or drainage assessments. Guidance and detailed comment is given on individual defects and costings can be included. A full Building Survey is best carried out by qualified, experienced and independent building surveyors, who are specific experts in diagnosing and predicting structure and building defects. Our expertise in finding defects early could save you thousands. On a tight budget or timescale? If you're on a tight budget, our Chartered Surveyor David offers Verbal Acquisition Advice. Instead of paying the price of a full written report, you can pay for David to attend the site, make the investigations he would usually make for a written building survey and report directly to you that day - by telephone or face-to-face. You save money, but still get the information you need. Our high quality surveying services have left a trail of happy clients across Staffordshire. See more on our reviews page. Buy, sell and manage your property. Slow sale holding up your chain? Selling a property, but not keen on waiting to find a buyer? Our partners will offer you full market value and work hard to exchange contracts within weeks. Click the button below to see how a specialist investor can help you! When you buy, lease or improve a commercial property, HMRC allows you to use some of that expenditure to reduce your tax bill. Our clients obtain a tax benefit which could exceed 10% of the purchase price; often in the hundreds of thousands. We want to be the best building surveyors in Stoke. You can help us achieve this. Have your say! "We can't thank you enough for the excellent service... The report was very concise and extremely well structured and reflected the professionalism in which the survey was carried out. You also went the 'extra mile' in answering any queries and gave your professional opinion on what further actions to take." "Many thanks for the electronic version of the survey on the property above which arrived last week. We were very pleased with the amount of detail in the report and the way in which you prioritised the defects you found. We are getting quotations now for the significant work which you itemised." 2015 © Stoke Surveyors (RICS). Stoke Surveyors is a trading name of Right Surveyors Staffordshire Ltd, serving Stafford, Stoke, Cannock, Biddulph and surrounding areas.